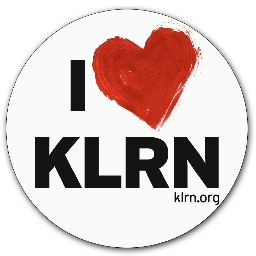 At KLRN in San Antonio, Texas, we know a lot about our supporters because we spend a lot of time talking and visiting with them on the phone, during events and through other communications. What we didn’t know is why, after they found our online donation page, three out four ended up leaving. What were they looking for that they couldn’t find? We could only guess. But we figured the best guesses are based on pairing metrics and testing with institutional knowledge and intuition. So a year ago we began running A/B tests on our donation funnel. We have enough funnel traffic to get up to half a dozen valid tests a year, and last year we gleaned several insights. We followed up with key changes such as creating mobile-friendly donation forms and moving thank-you gift selections to the top of our Single-Donation forms. But the biggest impact came from a Program and Thank-You Gift App, suggested by KLRN COO Julie Coan and developed by all-star volunteer Dennis McDonald and myself [Patrick Driscoll]. The multi-faceted application, with no home page, uses filters to surface various pages for different purposes. The app speaks to people who want to support core programs but also offers pathways to easily search and sort available thank-you gifts. For example: If you wanted to know more about Downton Abbey, we had a page for that – with a description, video preview and TV schedule. You could then donate from there. Also, the page listed any Downton Abbey gifts. Or you could click a button to go to a search page for all gifts. For techies out there, the Gift App is a single-page web application built with Angular and Bootstrap frameworks. It uses PHP to call PBS APIs and AJAX with promises to fetch CSV files, including a download from our Allegiance database. We launched our Program and Gift app the day after Thanksgiving. Over three weeks, pledge and other donations through website forms increased 20% compared to the same period last year, even though overall donations decreased slightly. The donation funnel converted at 32% compared to 26% last year. The Program and Gift App drove nearly half of all online pledges in those three weeks. And when thank-you gifts were involved, the Gift App was used in two out of three donations. A “Search Thank-You Gifts” button added to our donation page garnered more clicks than anything else on the page. We plan to continually improve the Program and Gift App, starting with splitting out PBS’ Fund Your Favorites programs and other pledge programs into separate pages – they ended up on the same page last time simply because we ran out of time. We also want to create online donor profiles, run task-based usability tests, add more ways to gather on-page feedback and, of course, do more A/B tests. Interest in gifts peaks on weekends and wanes fast as pledge proceeds. Interest from those not choosing gifts often peaks on weekdays and wanes much slower. One-time donors tend to like gift selections at the top of forms instead of the bottom. Sustaining donors tend to be more turned off when gift selections are at the top of forms. New website visitors tend to show some more interest in one-time donations. Phone and tablet users tend to show some more interest in sustaining donations. Finding out what our supporters look for while online, and then providing what they want, is an ongoing exploration. We feel we’ve been able to improve user experiences, and have more ideas to try. I’m always up for a virtual cup of coffee to share our insights and hear about yours.